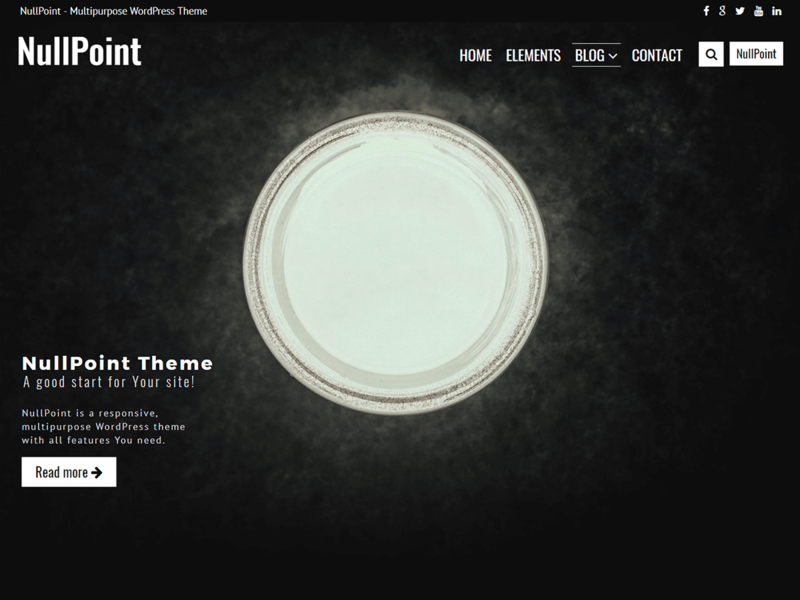 NullPoint – Multipurpose WordPress Theme is a responsive theme with all features You need. With Unyson and NullPoint Functions plugins, You can create sliders, use customizer options, unique shortcodes with page builder and import the premade demo with one click. Imagine Your website and build it with NullPoint. Build Your site with the highly customizable elements. If You would make something big, try NullPoint Pro with more elements and special functions.